Surat is the city of Gujarat which is in the western part of India with Gandhi Nagar as its capital. Surat has the number of colleges which provide higher education in the field of engineering, arts and social science, law, commerce, medical science, journalism etc. Institutes with national importance such as Indian Institute of Management, National Institute of Technology and National institute of design are located in the state. Apart from Institutes with national importance, research centers of excellence are also located in Surat. The government girls polytechnic college. New Civil Hospital and Seventh Day Adventist Hospital are the two medical college in surat where degree courses on health sciences are offers. The Courses on homeopathic medical science are offered by the CD Pachchigar Homeopathic Medical College and Shree Chotalal Nagindas Kothari Medical College & Research Centre. Colleges in Surat also offer distance education to the aspirants. 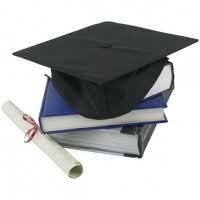 "Following is the list of Colleges in Surat. All Colleges in Surat are divided into Location wise. We have even listed college in Surat as per alphabetical order which is easy to find the desired college and information on it. If you come across any college in Surat which is not found from our list below, please do let us know by using add in list which is default in our website”.